Burkett Hauling Provides Junk Removal Services in the Western PA Region Within 45 Minutes of Grove City,PA. Sitting on the border of Western PA is the great city of Hermitage. We love helping the people and businesses of that growing town with their junk removal needs. The wonderful old city of New Castle, Pennsylvania is one of our fastest growing service areas. This Pennsylvania town is full of rich history and culture that always provides us with interesting and enriching experiences. Sitting near the beautiful Shenango Lake, it is always a pleasure to help keep this city clean! This historic city sits on the border of Western PA and is the western limit in our service area. Its a treat coming out to the lake and helping this great community to keep their places looking great! A postcard perfect city in one of the most picturesque areas of Western PA.
We are practically neighbors to this small town. We welcome all business from here! This area casts a wide net, but we are glad to help you with all of your clean-outs and junk removal needs. Another neighbor city that we service regularly. There’s no place like Volant and we are glad to do our part in keeping it the special place that it is. Give us a call and we can help you with your clean up. Free estimates on site every time! 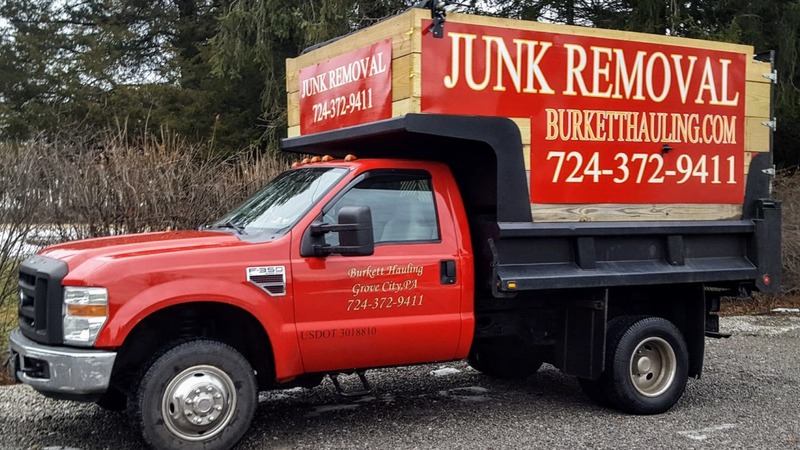 Burkett Hauling is centered perfectly in the tri-county area to serve the people of Mercer, Butler, and Lawrence County PA. Give us a call at 724-372-9411 to schedule your junk removal appointment today!